While many imagine what drones could be used for, Inland Northwest businesses are already putting them to work. Imagine you’re a farmer with hundreds of acres of land. There are areas where water collects, areas that are dry, others in the shade. Maybe there’s a clay knob your family has never been able to get to produce. With an aerial map produced with GPS data collected by a drone, you could choose exactly where to water more or less, where to plant more seeds or fewer seeds, where to use fertilizer or not, says Brad Ward, president of Empire Unmanned, which is helping to pioneer uses for unmanned aircraft in the Inland Northwest. A lot of the hype around drones in the Pacific Northwest has centered on ideas from companies like Seattle-based Amazon, which, in the interest of using drones to deliver its products, continues to get patents for things like a futuristic-sounding blimp warehouse that could deploy drones from the sky, with items to order within minutes. 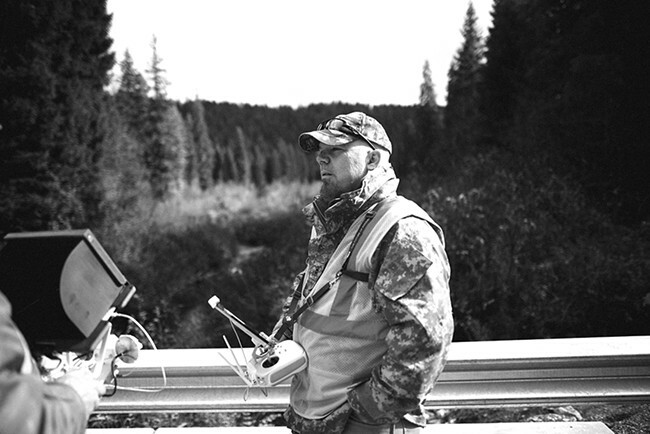 Less known is that North Idaho and Eastern Washington are home to several businesses that got into the industry early on and already are using drones for everything from mine surveying to agriculture and inspection work. The early adopters, such as Hayden, Idaho-based Empire Unmanned and Spokane-based Rees Aerials, were able to get into the industry ahead of others partly because initial regulations essentially required commercial users to be pilots. 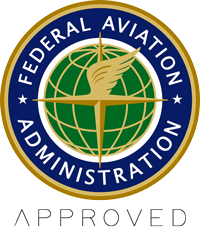 The people behind each company have years of experience flying aircraft, which made it easier to get exemptions from the Federal Aviation Administration. Recently, the FAA loosened requirements, releasing new rules in August 2016 that will allow many more people to use drones. Robert Rees, founder of Rees Aerials, preps to fly a drone last fall. As a retired Air Force helicopter pilot and seasoned “technology nerd,” when Rees Aerials founder Robert Rees got interested in drones he wanted to make sure he followed the rules to a T.
While he was well aware of the constant vigilance needed when flying in uncontrolled airspace — where helicopters and civilian drones fly — he wanted to make sure he got his exemption from the government and knew exactly where and when he could put his drone in the air. That led to an invite to volunteer with the local FAA office’s safety team, where he helps with outreach and education for those who aren’t as vigilant about following the rules. “It’s trying to educate the public how to use these things and how to use them safely,” he says. Though people may look at the FAA as an entity out to overregulate them, “it couldn’t be further from the truth,” Rees says. “They have one goal, which is the safe operation of aircraft in airspace,” he says. In general, Rees says he’d caution anybody who wants to hire someone to fly a drone, for any reason, to do their homework. For fliers, he recommends learning more than the required basics about aviation. Since January 2015, Empire Unmanned has used drones to inspect paper mill tanks, give an overhead view of wildfires to firefighters on the ground, and create comprehensive maps for mines and agricultural purposes like the example mentioned earlier. That, in turn, can save a lot of money, Ward says, especially when it comes to fertilizer and chemical costs. Using drones may also reduce safety risks in scenarios where inspections would usually take someone with a harness scaling a structure, and in some cases it can keep equipment working that would otherwise have to stop, Ward says. For example, at mines, which have strict requirements to report exactly how much material is moved, survey work done with people on the ground can mean halting giant machinery. Empire has also gotten creative to serve its clients. When a quadcopter-style drone was hard to keep steady inside of massive tanks used in the papermaking process, the company created a blimp system, which made for a smoother inspection video and allowed them to focus more on looking for defects than on trying not to crash into the side of the tank. “You’d be surprised; they could be used in ways we haven’t even discovered yet,” Ward says. Much of Rees’ work has involved taking high-definition video. In 2016 he helped inspect the smokestacks downtown, which are owned by Avista, in significantly less time than previous efforts. He was also hired by NOVA to help shoot video for a documentary about the massive flood that shaped Dry Falls and much of this area. This year, Rees says he plans to focus on capturing stock footage that can be licensed out for people who want to attract others to this region. Rees says he also eventually hopes to get into incredibly accurate aerial mapping done through technology known as LIDAR (Light Detection and Ranging), which bounces light off of objects to create data that can be turned into a map more detailed than what a camera could capture. Regional businesses aren’t the only ones paying attention to what might be next for drones. The Washington State Department of Transportation is keeping a close eye on the industry and what it might need in the future. If larger drones are put to use, they might need a “droneport” — similar to an airport or heliport — to fly in and out of and get serviced. For now, that’s still just a concept, says Rob Hodgman, senior aviation planner with WSDOT. Depending on how things move forward, droneports might be key for safety in urban areas, but those decisions will need to be driven by the FAA, Hodgman says. Later this month the Spokane Association of Realtors will host Home Drone, a day-long conference and exposition on using drones and new technology for business, featuring manufacturers, operators, and hobbyists. If you go, plan to hear about the vision for the future use of drones, the rules as they are and what changes might be next, and some ideas on entrepreneurship and building a sustainable business, says Tom McArthur, public affairs director for the association. So why would a realtors association be hosting a conference on drones? “Realtors are, as a bunch, very pro-technology. Most people now start their search for a home online,” McArthur says. 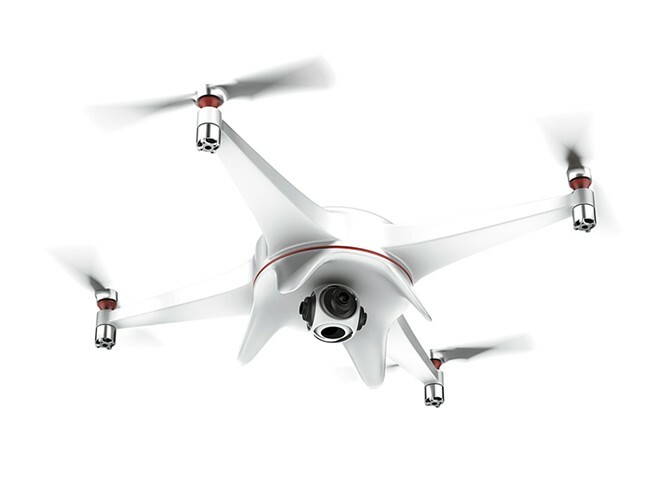 To stay relevant, drones are a piece of technology that realtors have started to embrace, and the association wants to help its members learn tools for how to safely and legally use them. More information on the day’s events and ticket prices can be found at HomeDroneSpokane.com. Realtors and students of all ages will be offered a 50 percent discount.